We think we know the intention of others, but we judge them on their actions. However, your intention isn’t enough. It’ll never be enough. And when your actions agree with YOU, you’ll move beyond enough. When you begin to see past your intentions, you’ll be able to release the internal tension that accompanies intention without action. Yes, intention without action creates internal tension. And what stands in the way of great action is internal JUDGEMENT. STOP JUDGING YOURSELF OR OTHERS. The next time to feel the need to JUDGE yourself, or someone else, FEEL beyond your feelings and focus there. 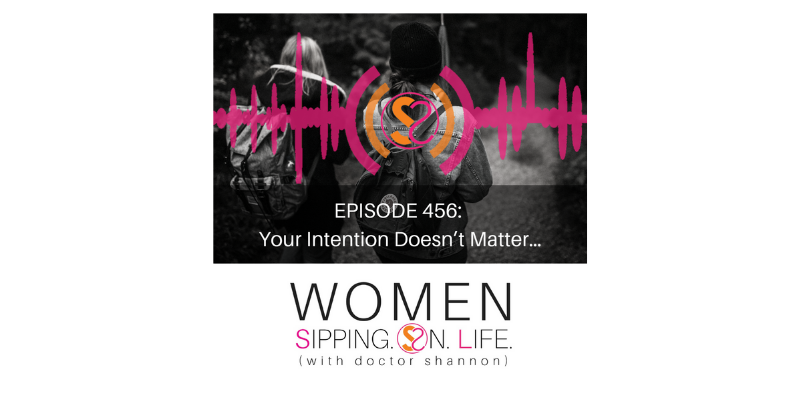 What if you could simply FEEL the way you feel with no wrong or right, justification, or intention…but to simply acknowledge yourself and connect? When you do. You’ll be able to DO more fully and freely. What feeling or action have you been trying to “justify” lately? Look beyond it, feel, and see what comes up for you.